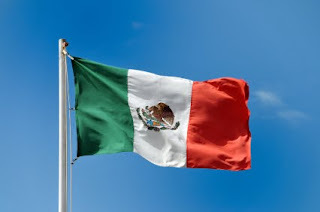 By Dorian Hargrove | Posted July 18, 2011, 3:55 p.m.
Chula Vista Deputy Mayor Rudy Ramirez says the public's perception that Mexico is unsafe is not supported by real crime statistics. In a July 18 press release, Ramirez reported on a recent meeting with mayors from cities throughout Baja and the Southern California. One of the key topics during the meeting was the false perception that many have in regards to life in Mexico. "A key topic of discussion was that the perception of the insecurity of the region is not supported by statistics regarding public safety," reads the press release. At the binational meeting, mayors and elected officials requested that California Governor Jerry Brown enact laws to expedite border crossing. “Local government officials agreed that the status quo of long border wait times and travel restrictions is no longer acceptable. We must work to ensure border security but not sacrifice efficiency,” stated Ramirez. One initiative that gained support at the meeting was a law that would require only a valid California drivers license to enter into the United States. The mayors also supported working together to "promote economic development" and tourism.